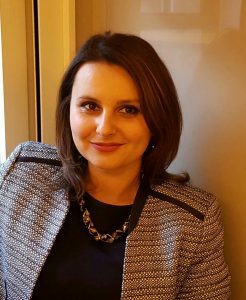 Daniela Vintila joined the Centre for Ethnic and Migration Studies in February 2017 as a postdoctoral researcher in the ERC-funded project “Migration, transnationalism and social protection in (post-) crisis Europe” coordinated by Jean-Michel Lafleur. Prior to that, she was a member of the British team of the international project “Pathways to power: the political representation of citizens of immigrant origin in eight European democracies” at the School of History, Politics and International Relations of the University of Leicester. Daniela holds a PhD in Law and Political Science from Universidad Autónoma de Madrid, a MA degree in “Democracy and Government” from Universidad Autónoma de Madrid, a BA degree in International Relations and European Studies from the National School of Political and Administrative Studies (Romania) and a BA degree in Law from Spiru Haret University (Romania). Her interests lie, especially, in the areas of comparative politics, EU politics, citizenship, international migration, electoral behaviour, political representation, institutional design in regional integration organizations and social protection policies.